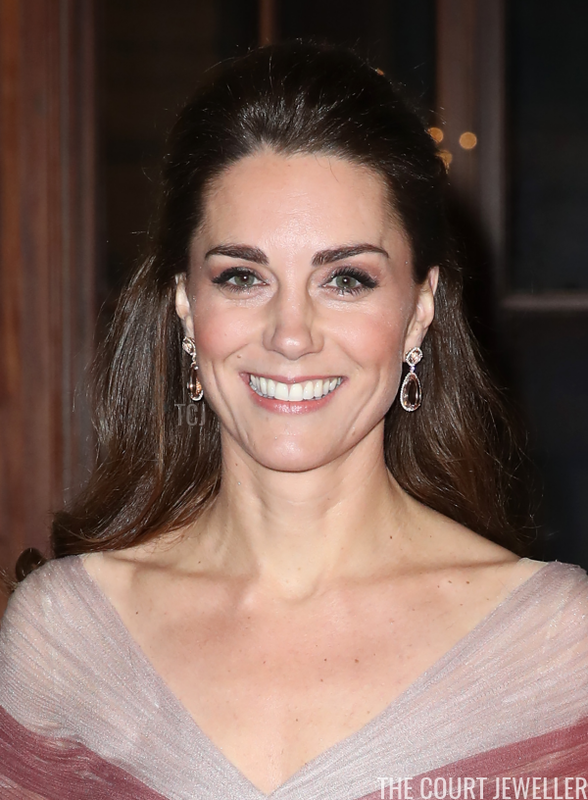 Kate was at the museum to attend a 100 Women in Finance gala dinner devoted to supporting mental health programs in schools. 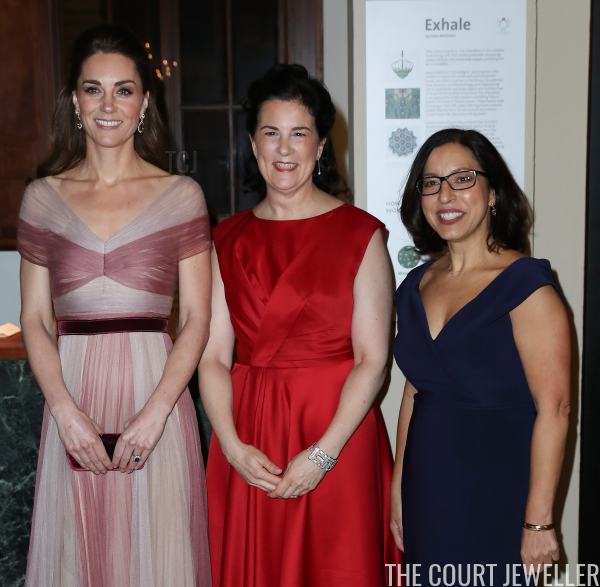 She is the patron of the 100 Women in Finance's Philanthropic Initiatives, and she was pictured at the gala with Amanda Pullinger, Chief Executive of 100 Women in Finance, and Lauren Malafronte, Chair of 100 Women in Finance Association Board. 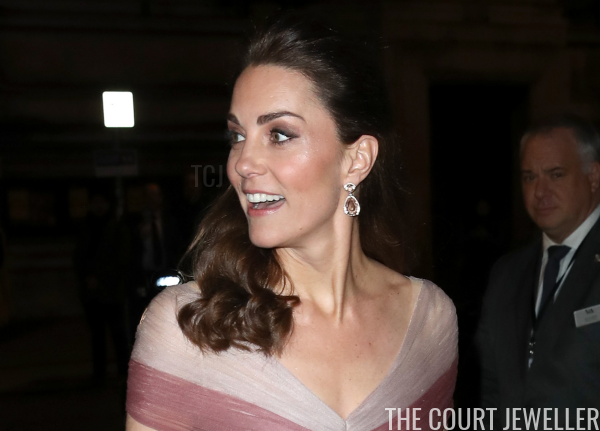 Kate wore a Gucci gown in shades of rosy pink for the event, and her choice of jewels coordinated with the color of the dress. 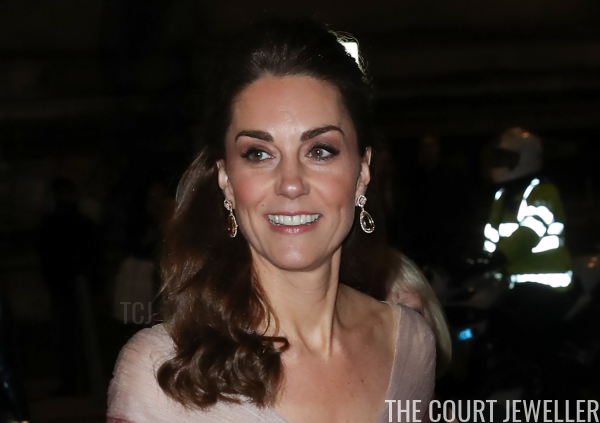 The earrings were a special edition pair, and Kate wore them for the first time at the wedding of her younger sister, Pippa Matthews, in May 2017. Kate also wore her usual rings, including her diamond and sapphire engagement ring. A gown in shades of blush and rose, and deep pink, with morganite jewels? Definitely an appropriate Valentine for royal jewel lovers!